Nexus 5X and Nexus 6P are the two Flagship phones recently launched by Google. One thing that makes Google Nexus phone so different is that how easy it is to modify the software running on these phones. With the introduction of New security features in Nexus 5x and Nexus 6P, things have gotten a little more complicated. Howeever, it’s very easy to unlock the bootloader, install a custom recovery or root the Google Nexus 5X. 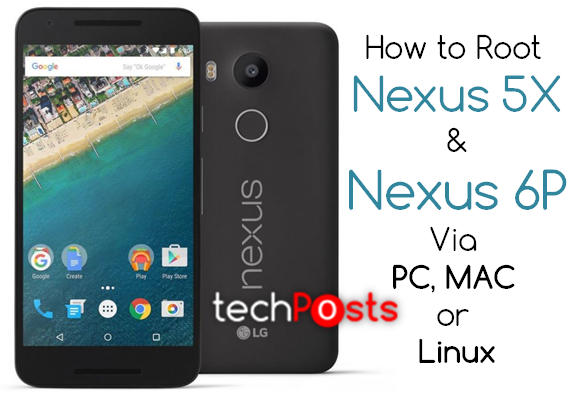 To root your Google Nexus 5X or Nexus 6P, all you need to do is watch the following video guide from Gadgethacks. Download links are provided below the video tutorial. For Mac users, Please see this guide for more information as it’s a bit complicated. Important Note: Please make sure the build numbers match up correctly.